behind AotW » Blog Archive » Know what this is? A correspondent has asked us to identify this interesting object, recently purchased. She has heard it may have been something people put on houses that survived the War – perhaps especially in or near Sharpsburg. I’d appreciate hearing from anyone who can help identify it a little more surely. I don’t think I’ve ever seen one before. Just like at Gettysburg, I understand these plaques were placed on homes that stood in Sharpsburg in 1862. Ironically, the last one I saw was nailed to the bookstore adjacent to the Farnsworth House in Gettysburg. 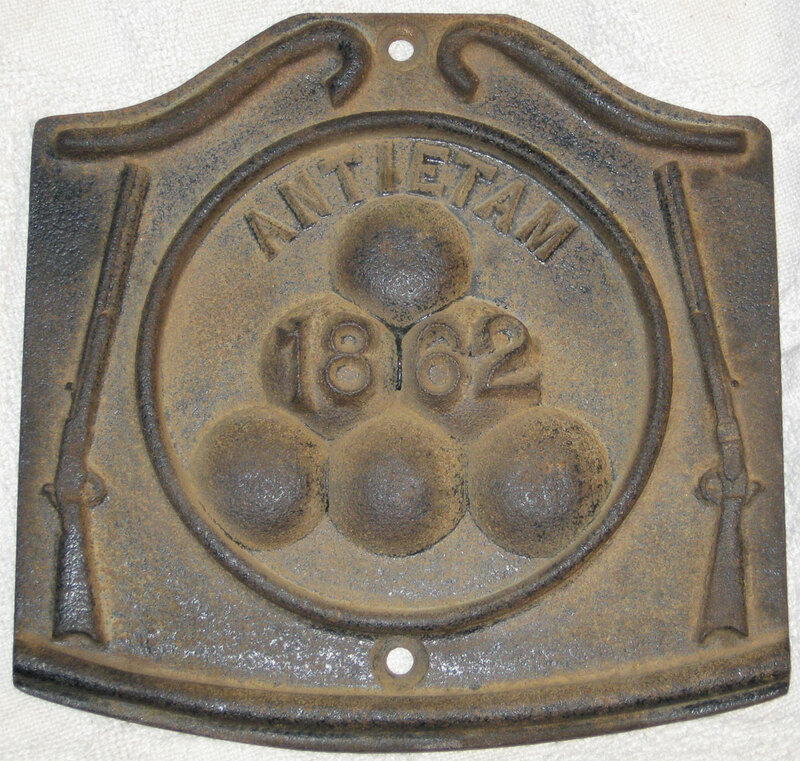 Apparently, it was purchased as a souvenir and mounted there to break up the monotony of the “Civil War Building 1863” signs that designate a dwelling that stood during the Battle of Gettysburg. Yes, it is the markers created during the Centennial to mark houses in Sharpsburg that were there duringthe battle. Cut and pasted your name from the info site of the Medal of honor recipient, Hillary Beyer. He was my 4th gr uncle, twice removed…anyway, I have his Medal and was wondering what the monetary value this piece could draw from a collector, such as yourself.